I use a passage from the book entitled Eagle Pass and/or Life on the Border, in which the author, Cora Montgomery, divulges a gruesome colonialist agenda for overthrowing indigenous cultures of South Texas and also confesses frustration about their defiance to becoming enslaved by white settlers. I create a performance piece centered around the scrubbing, purification, and subsequent removal of a white-washed skin. 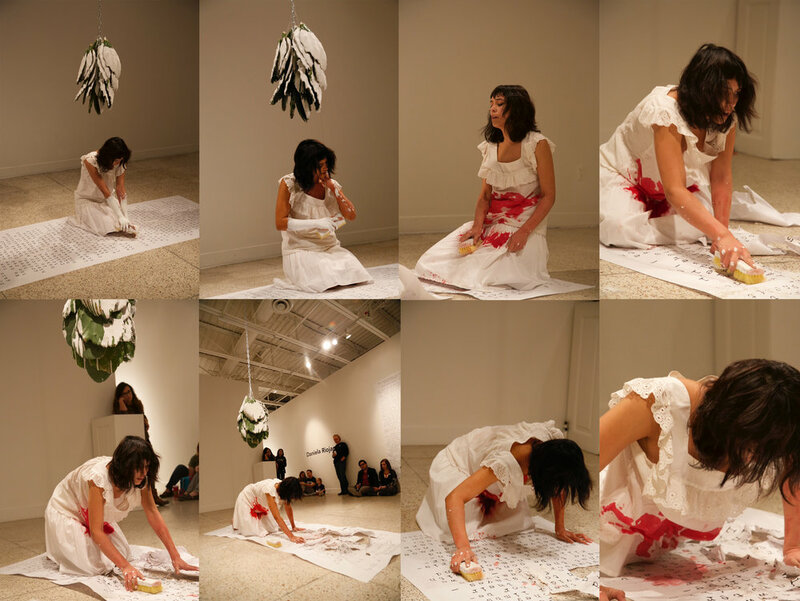 The performance reveals itself as a painful, transformative ritual of destroying and creating new flesh, and likewise, a ritual for creating new identity free from the imposition of colonialism.